Everyday Low Carb Living Books as low as as FREE! Trying to cut back on the amount of carbs in your daily diet? It can be hard if you don’t have arm yourself with yummy low carb recipes. 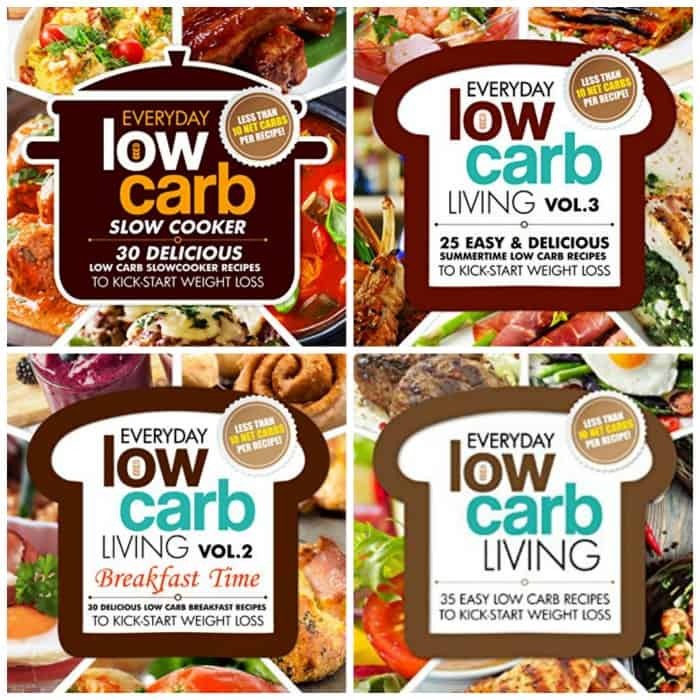 Right now you can get this Low Carb Living Series of books for only $2.99 in Kindle Format. Or if you prefer, you can get the paper backs are as low as $9.99. OR read them for FREE with a Kindle Unlimited subscription. I have been a KU subscriber for two years now and I think it’s been completely worth it. if you haven’t tried it yet, you can try the first month for free!